Members of our team taught extensively at B Tec level on biological aspects of the water cycle under the Water Training Industry scheme and teach part-time at under graduate and post-graduate level at the Universities of Derby and Loughborough in Environmental Sciences. We are an accredited training hub for the Riverfly Partnership and have established numerous Riverfly Monitoring Initiative (RMI) groups throughout Yorkshire, Derbyshire and Staffordshire. 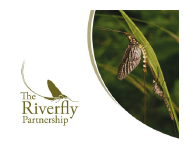 We can deliver a Riverfly Partnership 1 day training and accreditation course at an agreed venue of client choice throughout the UK for up to 8 personnel at a time. 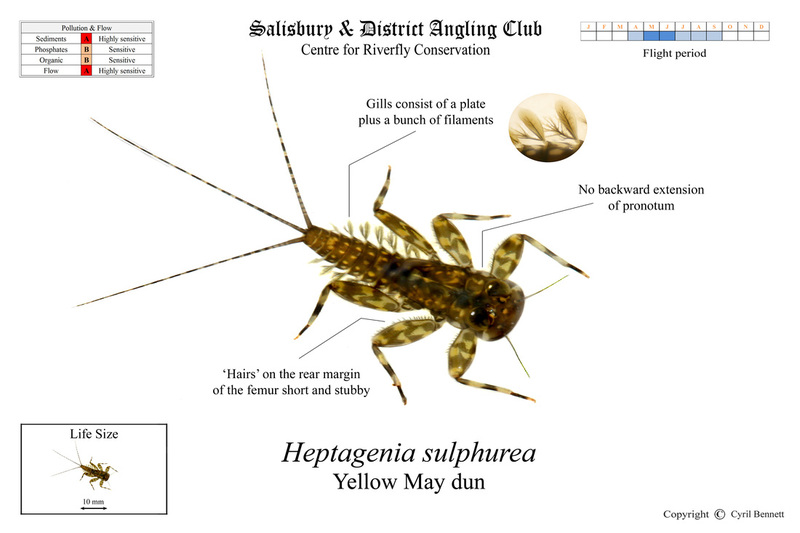 We are currently working with Dr. Cyril Bennett at Salisbury & District Angling Club and the Riverfly Partnership in developing the next level of Riverfly Monitoring in the UK for those groups of RMI monitors who want to take the resolution of water quality monitoring further to a full species level macroinvertebrate community analysis and pollution diagnostic assessment of their watercourses e.g. siltation, flow, organic and nutrient enrichment. Key to this development for non-professional biologists will be an initial independent and professional benchmark survey of the aquatic invertebrate community fingerprint in the Spring and Autumn of a benchmark year or the use of Environment Agency General Quality Assessment biological data if it exists and at species level for that watercourse. The data will then be used to provide bespoke photographic species keys for non-taxonomists for the ‘species plus’ RMI groups to use as exampled below. 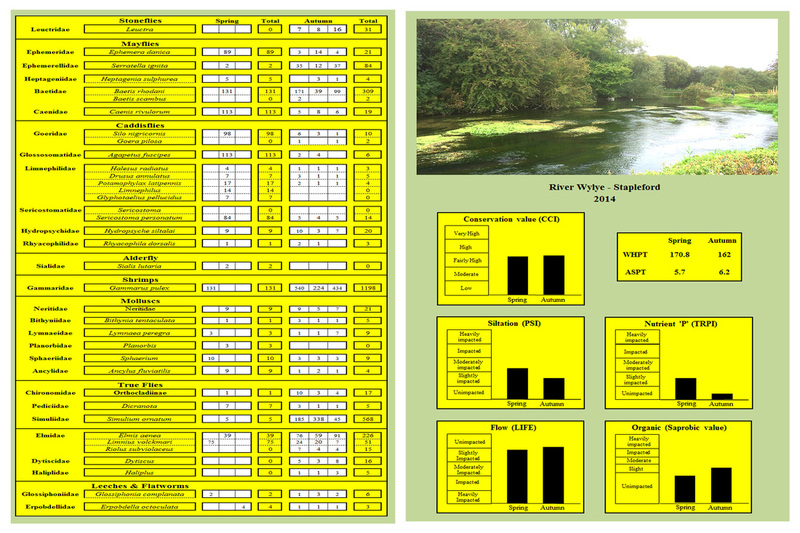 The professional benchmark invertebrate data for the study watercourse will be used to build a bespoke pollution diagnostic package for the group to use for water quality assessment at their river sites in the future. An example of a printout from the pollution diagnostic programme is shown below. Initial expert testing of the keys by national experts like Dr. Ian Wallace on the caddis larvae, Dr. Cyril Bennett on the mayfly larvae and Dr. Nick Everall on the other groups has highlighted no significant issues with identification the bespoke simplified photographic keys. Initial AQC trial on some test RMI groups has been positive with 99% successful species macroinvertebrate identification and counts from kick-sweep samples.